Beyond Drapes and Looms an event “that converged the age-old art of beeralu, crochet and macramé with edgy, contemporary styles.” Took place recently at Hype Studio.The event featured an exhibition of their vast array of products, a pop-up store, a live demonstration of creating beeralu lace. 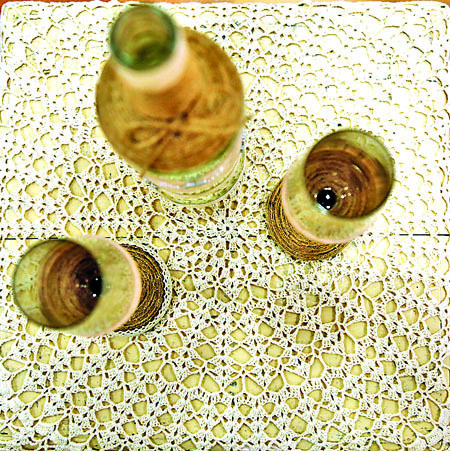 Nifty Looms a brand that incorporates the age old-craft of beeralu, crochet and macramé into their designs collaborated with Kankaari a bespoke saree designer brand to bring together an intriguing line of products where traditional meets contemporary. Beyond was also an event that officially launched Nifty Looms, a brain child by mother-daughter duo, Stella Edirisinghe and Thamosha Tharindi who co-founded the brand. Stella who got into the art of Beeralu only back in 2015 hopes to use her experience as a guru shilpini (teacher) at the National Arts Council teaching the art of beeralu to revive the beautiful dying art of bobbin lacemaking. 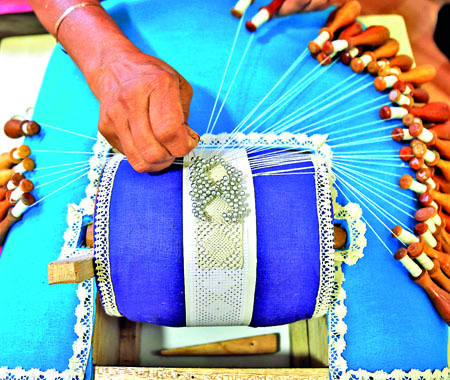 Only having opened Nifty Looms early last year with her mother Thamosha is more involved in the macramé, integrating a modern twist to the design and the strategic/technical side of Nifty Looms. 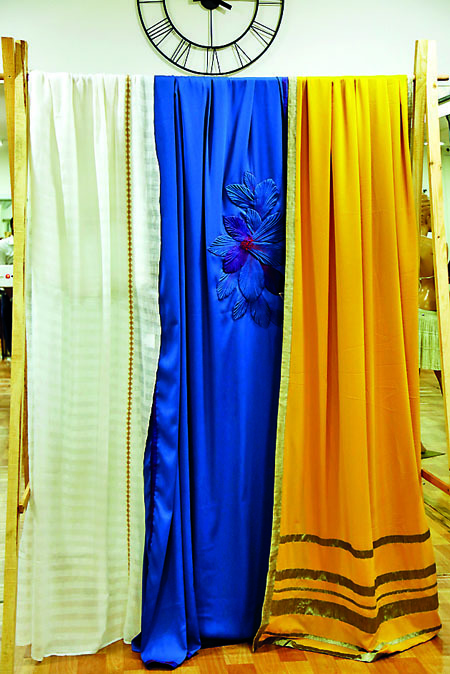 Kankaari by Hasini Liyanage is a brand that creates stunning custom-made sarees that compliments the modern and conventional woman. With qualifications in design and product development at the Open University of Sri Lanka, Hasini opened Kankaari last year. Now determining it was time for the brands next turning point, Beyond came to be.